A fourth West Kent Association has "upped the ante" on councillors who fail to do their fair share. 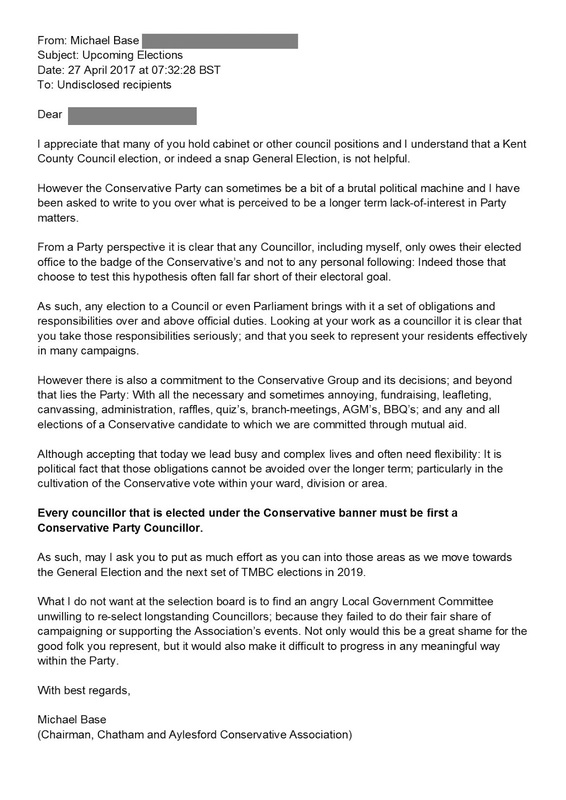 Respect to Chatham & Aylesford Chairman, Cllr Michael Base, who sent this email today to the habitual slackers! The Ring Behind the Swing ! The Roll of Honour: Elen Gente, Ron Leagas, David Grant, Betty Williams, Lee O'Toole x2, Mary Ratcliffe, Chris Woodward, Sarah Hohler x2, Harry Rayner, Sue Nuttall, Rose Tanner x2, Brian Bissell x2, Owen Baldock, Chris Baldock, Jon Botten, Matt Bailey, David Adams, Catherine Adams, Pam Bates, Jane Shepherd, Ann Kemp, Alex Hyne x2, Robin Betts, Nicolas Heslop, Alex Lewis-Grey x2, Sandra Garside x2, Jenny McDonnell x2, David Cure, Lynne Cure, Matt Boughton, Janet Walker, Georgie Wellford, Peter Homewood, Jo McTavish, Claire Stewart, Rosina Mercier x4!, Bev Palmer, Stanley Ward, Thelma Huggett, Barbara Cobbold, Matthew C F Dickins, Ade Kosoko, Steve Perry and Julie Perry. Less the 48 hours after the Prime Minister announced the date of the General Election, West Kent's MPs are about to be presented with their locally produced campaign packs. Chatham and Aylesford MP and Minister for Sport, Tracey Crouch, was recently guest of honour at a lunch hosted by a nearby Conservative Association. After the pudding had been cleared away and coffee served, Tracey started to deliver her speech. Half way through there was a loud and unpleasant thud - one of the guests had collapsed and landed on the floor underneath his table. Undeterred and without hesitation, Tracey sprang into action - removing her jacket and crawling under the table to administer first aid whilst someone called an ambulance. Our poor chap was taken off to hospital but thankfully made a full recovery and is now back home. 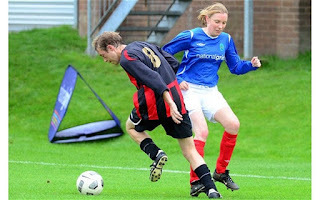 Was it too much sherry in the trifle or the thought of Tracey in her football kit? Whatever the reason I have a horrible feeling that now our older male members know that collapsing at a lunch might result in Tracey stripping off to administer CPR under the table might start a trend. With much of the country focussed on May’s elections, this is a good time to examine what we do on the doorsteps, what we need to achieve and how the data we collect should be used to maximum effect. 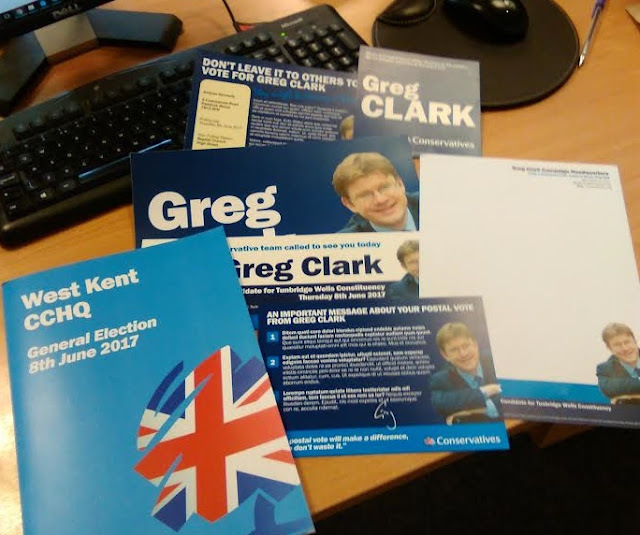 One of the challenges we face in West Kent is to convince our more traditional campaigners that canvassing is no longer about having a detailed discussion on every doorstep with the aim of converting the misguided into changing their ways. Similarly, to persuade our newer helpers that canvassing is a simple data gathering exercise and they do not need detailed knowledge of every aspect of party policy. And when I refer to “future success” I don’t just mean electorally, though that is clearly our primary concern, but also in terms of recruiting members, donors, activists, postal voters and possible even future LG candidates. In a previous era when 90% of people voted either Conservative or Labour a simple “may we count on your support” was probably sufficient; you were either with us or against us. That is no longer an option. Voters, even those who identify a Conservative, happily switch their votes at local, parliamentary, EU and PCC elections, and even at the same election as anyone who witnesses the bizarre vote splitting in multi-member wards will testify. In this climate, we must be smarter and more accurate. Understanding a voters’ second preference is probably just as important as recording their first, and the ability to target nuanced GOTV messages to different groups is now vital in delivering victory in marginal council wards. For this to be effective however we must have the data in the first place, and this requires our doorstep and telephone teams to have the training and confidence to ask the right questions and enter the correct codes on the canvass sheets. The time of day people vote: by time-stamping tellers sheets and recording this data, we can build up a picture of when people vote (morning, lunchtime, afternoon evening). This allows our teams to focus GOTV efforts where needed, for example not calling on evening voters in the morning releasing time to target those supporters who we need to turn out before dark. *Variable paragraph pledge letters: by ensuring we ask the same questions by post, email, telephone and doorstep we are able to build a database of the main issues which concern individual voters. 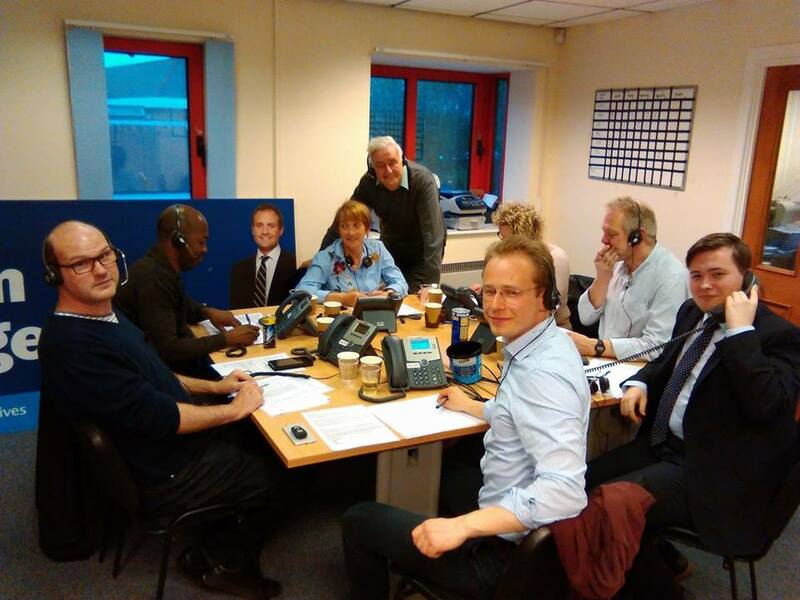 This information is then recorded and used to produce personalised letters from the candidate dealing specifically with the issues voters have told us concern them. *Street-specific newsletters: again, by recording specific issues which affect roads or groups of residents, we have been able to produce a generic newsletter with a tailored “lead story and headline” for each road or target group of residents. *So far we have only had the resources to do this for by-elections, but where we have the impact has been very considerable. Data is key to almost everything we do. Knowing which voters will never consider voting Conservative (or who will vote for whichever party is best placed to defeat us) is just as important as knowing who we need to target. I will always remember Britain’s longest serving Council Leader, the late Mark Worrall OBE, telling me “the first step to winning an election is not to do anything which sufficiently irritates your opponents to motivate them to go out and vote against you.” And there is nothing more likely to motivate a laissez faire Labour voter than having a constant stream of Conservative literature landing on his or her doormat. It is for this reason I don’t like window posters, street stalls and loud speaker cars; they are indiscriminate in their audience and thereby reduce our advantage. And after the dust has settled, good quality data is the gift that keeps on giving. · Overlaying the pledge base with the marked register, you can identify pledges who did not vote and use peacetime to sign them up for a postal vote. · Each year you can target one or two well canvassed wards and send every pledge a book of Christmas draw tickets; the response rate may only be 5% but the exercise covers costs and provides an easy gateway to build your donor base for the future. All of this however relies of good quality data and that means we have to spend time and effort explaining to our volunteers why accurate data really matters and providing them with the skills and knowledge they need to ask the right questions and in the right way.